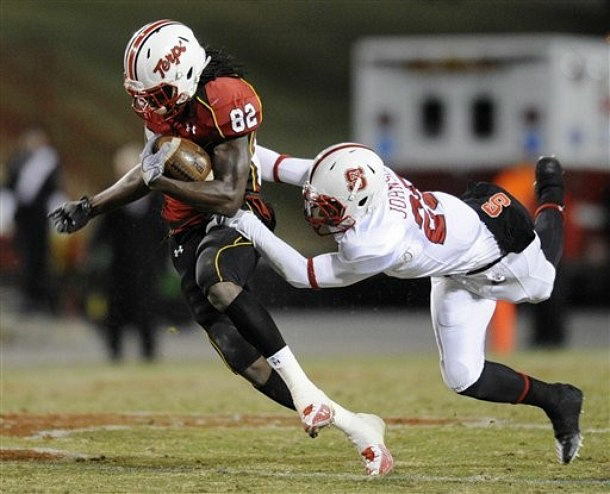 OFFENSIVE BACK - Torrey Smith, Maryland, WR, Jr., 6-1, 205, Colonial Beach, Va. (Stafford) Smith turned in one of the most outstanding performances by a receiver in Maryland history, setting the school's single-game record with four touchdown receptions, while setting career highs with 14 receptions and 224 receiving yards as Maryland knocked off No. 21 NC State 38-31. His receiving yardage is the third most in a single game in school history and 18th-most on the ACC books, while his receptions are just two off the ACC mark. He broke Lamont Jordan's school record for career all-purpose yards, and his 5,183 yards ranks seventh on the ACC career list. 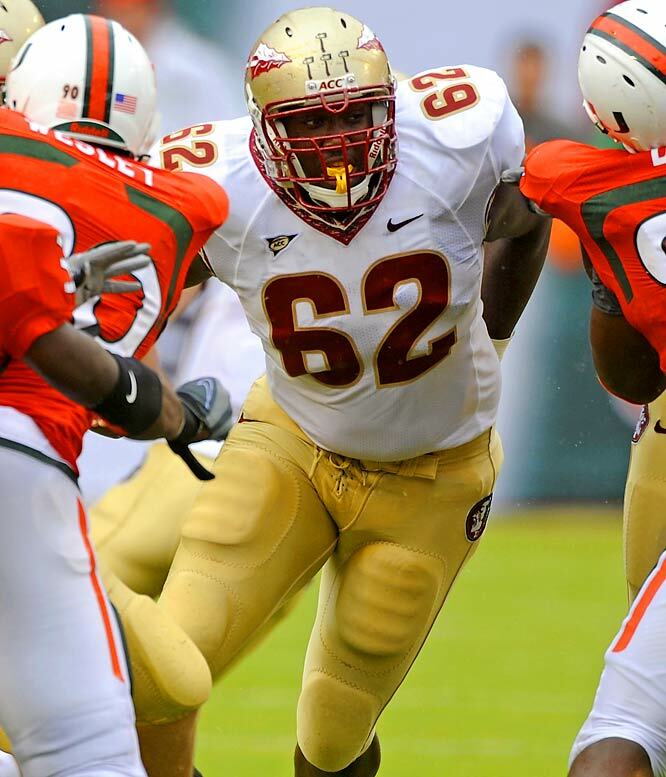 OFFENSIVE LINEMAN - Rodney Hudson, Florida State, G, Sr., 6-2, 282, Mobile, Ala. (B.C. Rain) Hudson was a dominant force in FSU's ability to completely control the Florida defensive front. He earned a grade of 91 percent -100 pass; 85 rush - registering four knockdown blocks. He was not penalized and did not have a missed assignment for the Seminoles, who rolled up 333 total yards on 65 plays (5.1 ypp). Hudson was a mainstay as the Noles did not allow a sack against Florida's defense and controlled the clock for 33 minutes. It marked the fourth time this season that Hudson, an Outland Award finalist, posted a score of 90 percent or better. DEFENSIVE LINEMAN - Brandon Jenkins, Florida State, DE, So., 6-3, 234, Tallahassee, Fla. (Florida High) Jenkins turned in his fifth multi-sack game of the season with 2 sacks against Florida, pushing his season total to 12, which ranks second in the ACC and is tied for third nationally. He finished the day with four tackles - all solos - pushing his season total to 61 tackles, adding two more tackles for loss to give him 17.5 (-80 yards) on the season. He was a vital cog in FSU's ability to control Florida's option attack, limiting the Gators to 276 total yards. FSU also forced four turnovers (three fumbles and an interception) in a dominating, start-to-finish performance. DEFENSIVE BACK - Antwine Perez, Maryland, S, Sr., 6-1, 210, Westville Grove, N.J. (Woodrow Wilson/USC) Perez had a terrific all-around game in Maryland's win over NC State, which enabled the Terps to finish 8-4 on the regular season, a six-game improvement from 2009. The senior, making his final home appearance, had a team and career-high 11 tackles, including six solo stops. He also forced and recovered a fumble, broke up one potential touchdown pass, had one of the team's eight tackles for loss and returned a blocked kick 35 yards to set up a field goal. Perez has been strong down the stretch, posting at seven tackles in each of the last four games. He ranks tied for third in the ACC in fumbles recovered (0.25 pg) and tied for fifth in passes defended (0.92 pg). SPECIALIST - Shawn Powell, Florida State, P, Jr., 6-4, 227, Rome, Ga. (Darlington Prep) Powell's work was instrumental in Florida State winning the game-long, field position battle. He punted four times for a 40.2 yard average and did not yield a single return yard to the Gators, for an impressive 40.2 yard net average. 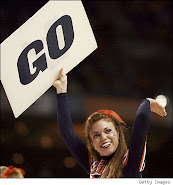 Florida began drives after Powell placed directional punts at its own 4, 7 and 5 yard lines. He also angled a 44-yard attempt out of bounds, punting from his own goal line. Powell now has 15 punts inside the opponents' 20-yard line on 45 attempts this season (33 percent). ROOKIE - Danny O'Brien, Maryland, QB, r-Fr., 6-3, 215, Kernersville, N.C. (East Forsyth) In the victory over NC State, O'Brien became the first Maryland quarterback to throw for 400 yards in a game since 1993, racking up a career-high 417 yards (fourth-highest total in school history) while completing 33-of-47 passes for four touchdowns and no interceptions. O'Brien, who ranks fourth in the ACC and third nationally among freshmen in passing efficiency (135.20 rating), has 21 TD passes this season, the second most in school history, and has accounted for 23 total TDs, the first Maryland player to do so since 2003.